When rescuers went on an urgent mission to save Oscar from a bile farm in Vietnam’s Halong Bay in 2015, they found a bear who looked as if he had literally been in the wars. Oscar’s sparse coat of fur was covered in open sores. He was extremely thin and had two missing digits on his left front paw and another two missing on his left hind paw. His paws had deep, dry cracks in them from years of never feeling the soft touch of grass - just the hard, cold metal of his cage. He was also struggling to fight off a respiratory infection that was exacerbated by his appalling living conditions, a terrible diet and having his bile forcibly extracted for use in traditional medicine. Despite his litany of health problems, Oscar - formerly known as Song Sot - was one of the lucky ones. At least he was alive, the sole survivor of the notorious Cau Trang Bear Farm where 26 moon bears, a protected species in Vietnam, died in quick succession over a six-month period. Since being given sanctuary in Animals Asia’s Vietnam Bear Rescue Centre, Oscar has started to put the horrors of his old life behind him. He has gained weight and strength in his muscles. His wounds have healed - although they have left scarring on his back - and he breathes easier thanks to his carers whose patience and painstaking efforts have set him well on the road to recovery. However Oscar’s teeth have been an ongoing concern. When he was first rescued delicious snacks of fruit and vegetables had to be chopped into small pieces to encourage him to eat. Health checks revealed two fractured canines which were later taken out. But a routine health check in July 2017 showed another fracture on one of Oscar’s teeth. Fortunately, this brave bear did not have a sore mouth for long. 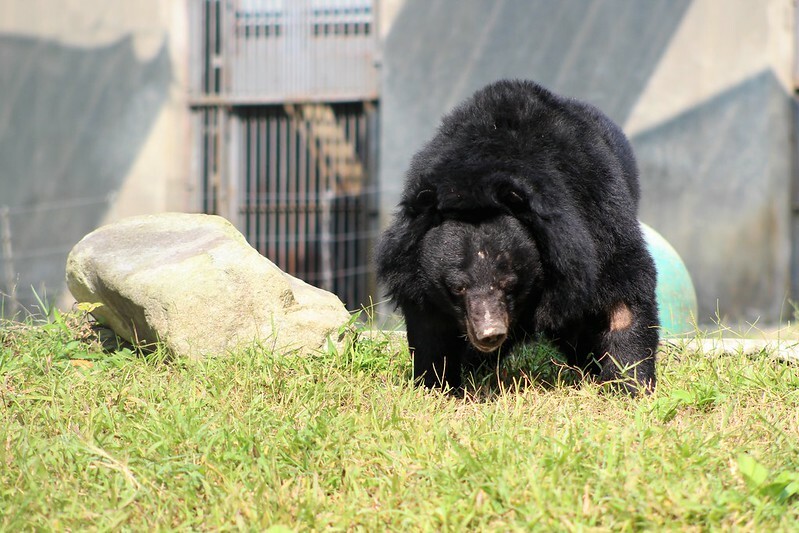 He was one of five lucky bears to be seen for the first time by dental veterinary specialist Cedric Tutt who travelled to Animals Asia’s sanctuary in Vietnam from his home in South Africa. Having received treatment for a root canal from Cedric, Oscar has once again been able to indulge his appetite for tasty bananas, melon and other treats - some of the very things that makes life after captivity so pleasurable. “Sadly, broken or decaying teeth are the most common affliction suffered by bears rescued from bile farms where they are kept locked up in tiny cages. They typically vent their sadness, fear and frustration by chewing at the bars which causes further pain and damage. Chronic malnutrition from wholly inappropriate diets on the farms also leads to long-term dental damage. 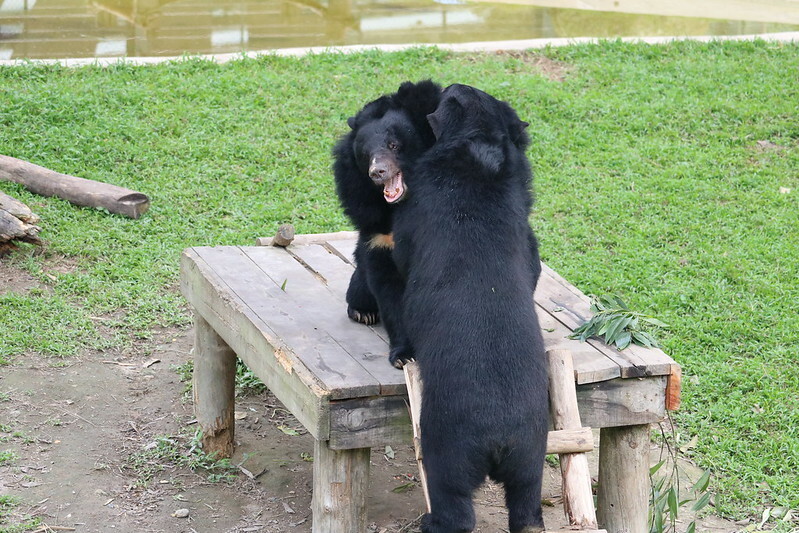 Oscar’s dramatic rescue in May 2015 was a direct result of Animals Asia’s campaign to save bears being kept on bile farms in Vietnam’s famed beauty spot of Halong Bay. The campaign received such an outpouring of international support that provincial authorities gave the charity permission to rescue every other captive bear in Quang Ninh province, with the last bear - Hercules - saved two years ago this week. 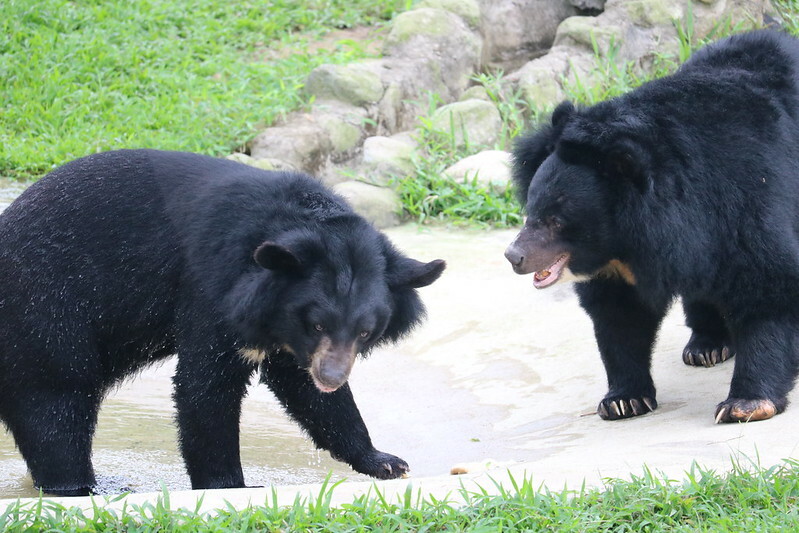 To date, Animals Asia has rescued more than 600 bears – mostly from the bear bile industry – in Vietnam and China. Animals Asia and the Hanoi government pledged in July 2017 to completely end bear bile farming in Vietnam and rescue around 1,000 bears still caged in the country. “The bears and the team are incredibly lucky to benefit from Cedric’s generosity and kindness. We are delighted that Cedric has said he plans to come back to Vietnam regularly to visit our bear sanctuary. We hope it’s the start of a wonderful friendship that will help alleviate the suffering of so many of our bears.